Earlier this year, Harlem rapper Azealia Banks signed with Universal and announced plans to release her debut album Broke with Expensive Taste. Months later, she's managed to drop her 1991 EP and the Fantasea mixtape, but there's still no sign of the LP. Yesterday (August 18), Banks took to her Twitter to reveal that the album does indeed have a proper release date. But it won't be out until 2013. "Broke With Expensive Taste will be out first quarter of 2013 on Feb 12. (2/12)," she wrote, adding, "I have ALOT of REALLY excitin ish happening in btwn! it will ALL make sense as these things start to unravel. The #KUNTBRIGADE will b proud!" Considering the six month wait we have in front of us, there's plenty of time for all kinds of exciting "ish" to take place. 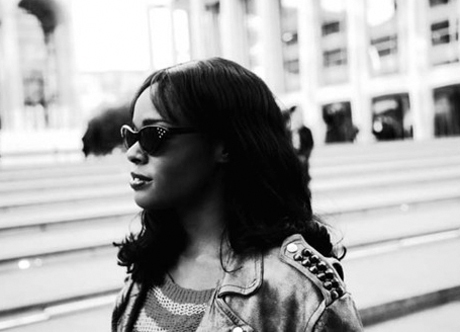 Azealia Banks' video for "Van Vogue" is available below.